If G. Detou did not exist we would have to invent it: This is Paris, this is la France as it’s best. The Parisians call it la caverne d’Ali Baba de la patisserie, a kind of treasure cave for baking freaks. The Fine Grocery has existed since 1951 and that’s probably why it’s not part of the pretentious foodie business. It’s actually for professionals, with means that often products come in wholesale sizing but also with wholesale pricing and this is the best quality. G. Detou is a play on words. Pronounce it in French and it means: "I have everything". And the tiny place close to Les Halles indeed has everything you need for baking. And when I say baking, I don’t mean banal apple tarts. I’m talking about French patisserie: Macaroons, Paris-Brest, Éclairs, you name it. Anything you could possibly imagine needing for a sophisticated recipe, you’ll find it there. The best chocolate in France, here it is: choose between the best producers, have it white or dark, have it with 35% or 70 % cocoa, go for bars or pastilles (because they melt much more easily). But this is not all, of course. You need pistachios, walnuts, cashews? Take the kilo sacks. 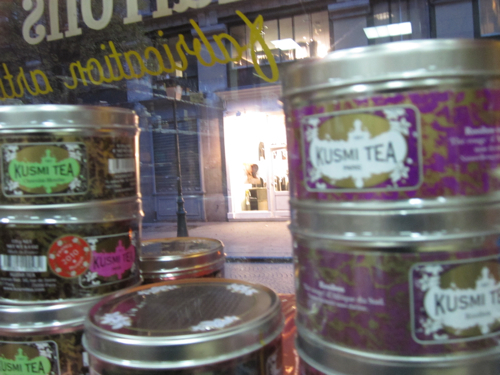 You get tea from the hyped Kusmi label, beautiful tuna tins, sardines, Edmont Fallot’s mustard, sweet chestnuts or just the sweet chestnut cream, jars with fruits, hand peeled, aromas, vanilla beans from Madagascar. There is nothing they don’t have. I discovered Detou after my first patisserie lesson at Lenotre. 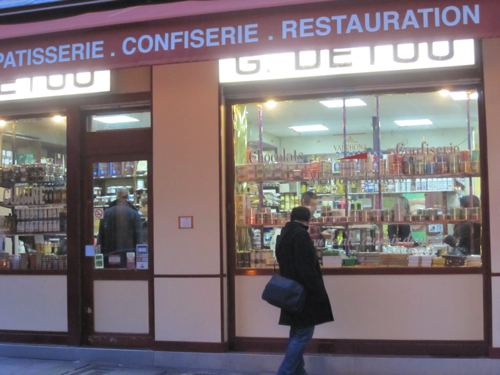 Because it’s here, at G. Detou, that you get the famous tant pour tant, a mixture of half ground almonds and half icing sugar that you need to do French macaroons. 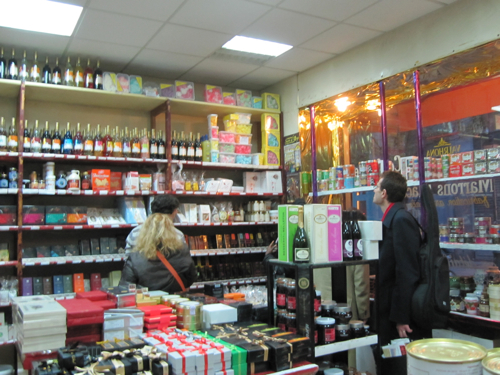 Come and have a look: The small shop is literally packed from floor to ceiling. The shelves are collapsing under sacks and packages. It’s lovely, it’s Paris. You’ll probably find a nice souvenir here, something more original that anything else you can buy at the tourist places.